1913 Gillete Streetis now under the status of PENDING SALE! After only 41 days on the market, this Midtown condominium is under contract and heading toward a quick close. As condominium sales have diminished nation-wide, this is great news for our local market. Mid-town in Houston is a thriving urban re-development area that is really coming into its own. With the headaches and cost of a commute, inner-city living is becoming more attractive for people. The trend appears to be gaining momentum as more condos, lofts and townhomes continue to be built. 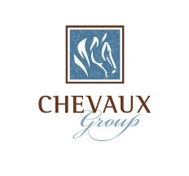 If you are in the market to sell, lease or purchase real estate, Chevaux Group in your number one choice! We are here to help you with your transaction from contract to close! We have the skills and the dedication necessary to assist you in a successful real estate acquisition. MIDTOWN CONDOMINIUM ~ HOUSTON, TEXAS! MIDTOWN ~ A TRENDY, COOL PLACE NEAR DOWNTOWN HOUSTON!